After months of research, development, and testing, we are proud to announce that the Sentry Airframe is now available for purchase. 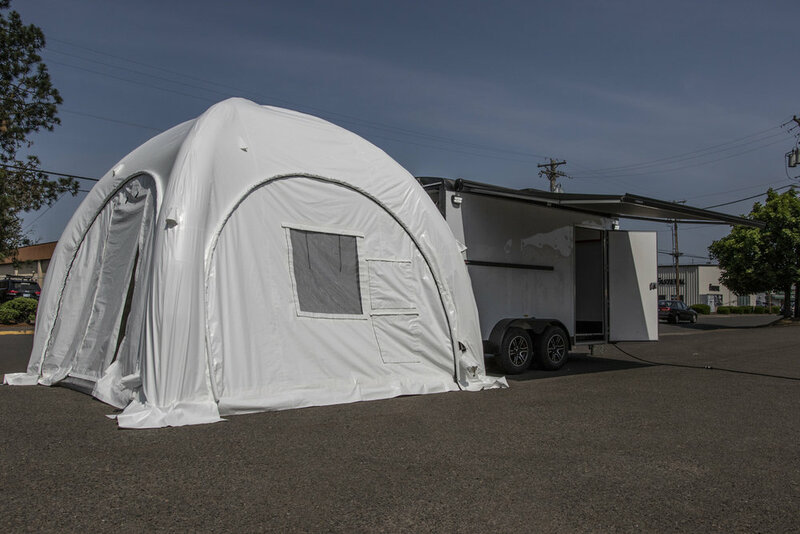 The first production models of this revolutionary new shelter are now going out the door. 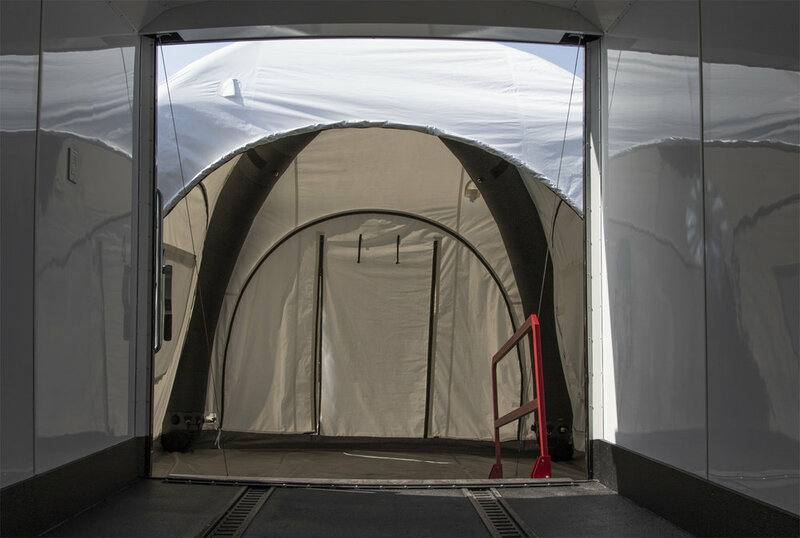 The Sentry was inspired by the 2017 hurricane season, and the need for a rapid-deploying, lightweight shelter with extreme modular capabilities. The Sentry is made with limited lightweight components, making it an ultra-versatile shelter for any situation. At just 131 lbs, the 13' boasts an impressive 162ft2 of usable area, while the 17' offers 271 ft2 at just 168 lbs. The Sentry is the ideal choice in situations where response time is important. It packs up light and compact, and several units can easily fit in the back of a standard pickup truck. The Sentry inflates in minutes, saving your team valuable time that can be used on the mission rather than on the set-up. Wall panels for the Sentry attach via a heavy duty zipper and are interchangeable between the 13' and 17'. 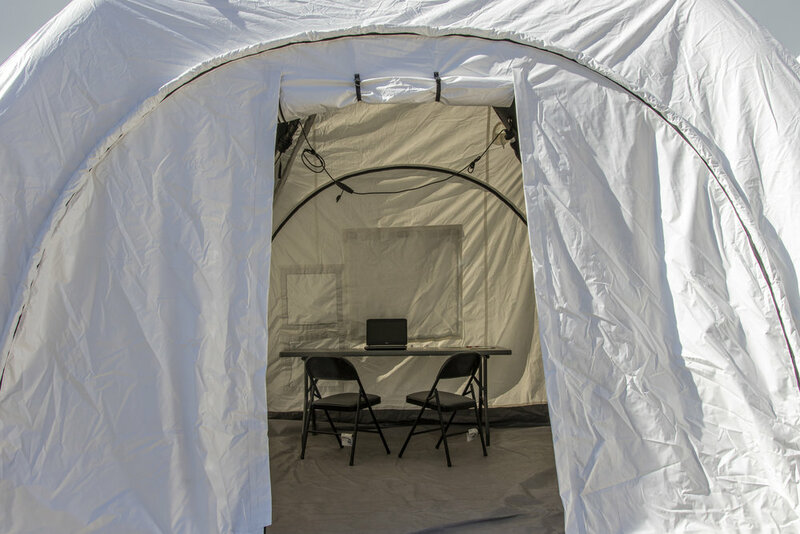 Panels are available in entryway, window/ducts, and solid configurations and can be ordered a la carte to suite your specific mission needs. Panels can also be left out entirely in hotter climates where only sun protection is needed. The vestibule connector essentially turns multiple Sentrys into one single unit, while adding additional usable space at the same time. Both the Sentry 13' and 17' are now available for purchase. Fill out this contact form and our team will get back to you quickly with more detailed information on how to get this new shelter.